Also joining the expedition are 10 Ambassadors of USA, Australia, England, Sweden, Italy, Canada, Czech Republic, Argentina, etc. in Ha Noi. Viet Nam National Committee for UNESCO assessed: "This is a very important promotion for Son Doong, especially after ABC (America) broadcast the program to introduce Son Doong Cave. The participants are the Ambassadors Extraordinary and Plenipotentiary of Viet Nam from the most developed countries which has the potential for tourism cooperation with Viet Nam". In a separate development, recently the press announced the program introducing Son Doong Cave by ABC (USA) broadcast on Good Morning America won "News & Documentary” Award at "The New York City Drone film Festival. Earlier, ABC (US) broadcast the program "Good Morning America" about Son Doong Cave in May 2015. Soon after the program was broadcasted, millions of viewers around the world have watched and discussed about it. 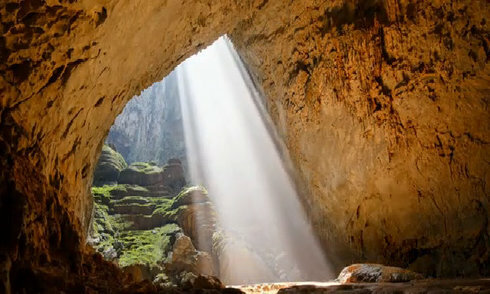 Son Doong Cave in Phong Nha - Ke Bang National Park, Bo Trach District (Quang Binh) was discovered in 2009. Currently it holds the record for the largest cave in the world and the most interesting attraction of Phong Nha - Ke Bang National Park. It was also recognized as a world heritage site by UNESCO.